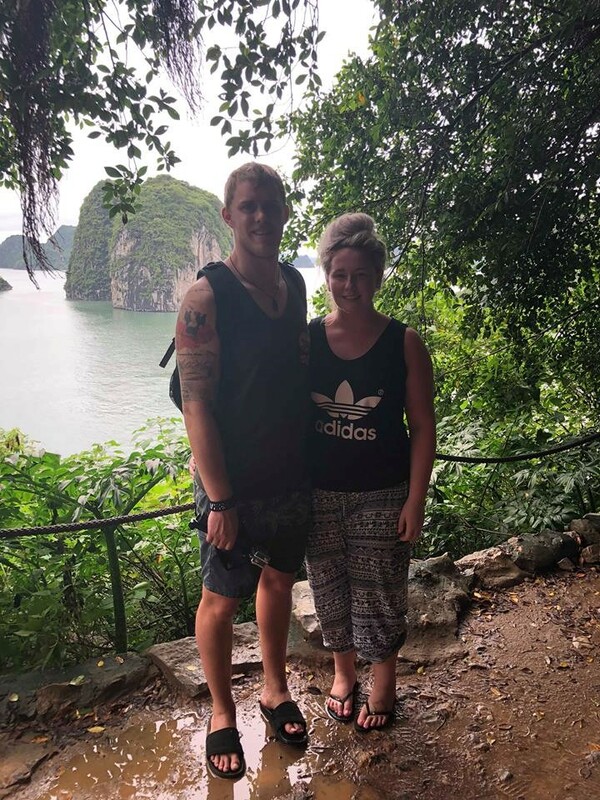 My partner and I wanted something out of our comfort zones, somewhere we could explore and create some extraordinary memories, that’s why we chose Vietnam! We decided to do a 10-day tour with Active Asia. We departed Auckland on a 10-hour flight With Cathay Pacific via Hong Kong arriving into Saigon just on midnight. The heat hit us as we walked off the plane. We huddled around the carousel waiting on our bags before heading out to meet our local tour guide to transfer us to our accommodation. We spent 4 nights at the Lavender Boutique hotel, which is a new property. Excellent service, and amazing breakfast daily! They even have noodles and rice for breakfast! Centrally located, close to lots of restaurants and walking distance to most sights. Day 1 was spent at leisure, exploring Saigon ourselves. 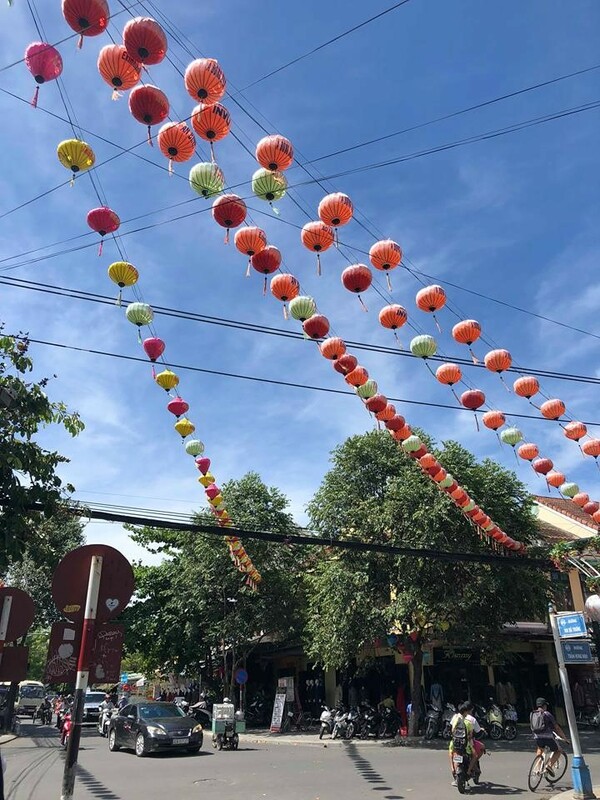 We went to the Ben Thanh Markets, which were located a 5 minute walk away from our accommodation, it was such an eye-opener seeing the food markets, and bartering was definitely a highlight! Our tour guide had suggested a place for us to have dinner, so we went to that. The food we delicious! Day 2 was also spent at leisure. We had a chilled morning before we went up the Saigon Skydeck in the Bitexco Financial Tower. Such an amazing view! It cost VND200,000 per person, which is around NZD12.80! Around 6pm we met up with our tour guide, we took a short walk to a local restaurant- The barbecue garden. This was such a cool experience. Our table had a wee built in BBQ, and we got to cook our own dinner. The menu was already set, and had 6 courses in total, plus fruit for pudding. On our walk, home we spotted the night markets, so our tour guide left us there to have a look around. Great shopping here! Day 3 was full of sightseeing. With a 8.30am start went to the Cu chi tunnels, which was definitely a must do for us! It took around 2 hours from our accommodation. We first listened to the history on what they were and why they built them. We walked around the complex looking at the tunnels and seeing all the traps that they had built, incredible! Pete was keen enough to go into the tunnels. He also fired an M16 rifle, which he really enjoyed! You could buy as many bullets as you wanted. It was so cool to hear and see how clever the Vietnamese were! Around lunchtime, we went to a local restaurant which was located on the way back to the city from the tunnels. It had a set menu, with 6 courses. We were defiantly full after that! On the way, back to the city we went to the medicine museum where we learnt about the natural remedies they use. We got to dress up in the old doctor’s uniforms! We also visited Notre Dame cathedral and the central post office where we posted cards back to home- (sadly we beat the postcards home and the war museum. The war museum was definitely a must do! Seeing all the photos from the war was so mind-blowing. Day 4 we checked out of our accommodation and transferred to the airport where we said goodbye to our wonderful tour guide. We checked in for our flight to Da Nang/Hoi An. The flight was just over an hour flying Vietnam Airlines. The crew were fantastic and so polite. We arrived to Da Nang international airport where we met our new tour guide. It was a very hot day nearly reaching 40 degrees. Our drive down to Hoi An took around 1 hour. 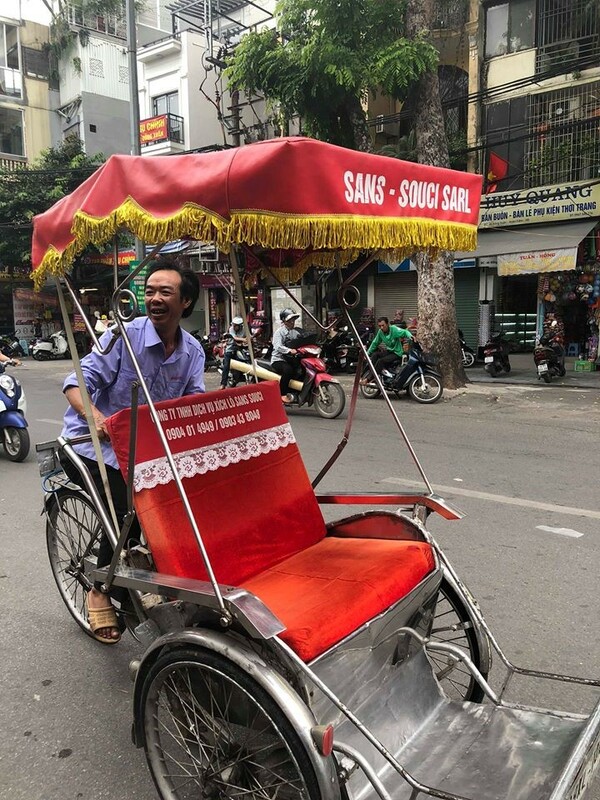 Our tour guide took us on a short-guided walk around the old quarter of Hoi An, seeing historic buildings and a chance to learn some history of the quaint city. After around 2 hours, we checked into our accommodation at the Vinh Hung 2 Hotel which included breakfast daily. It was only a 2-minute walk into the old quarter. We hired a bike and biked to a restaurant that was recommended to us for dinner, Song Thanh Restaurant. 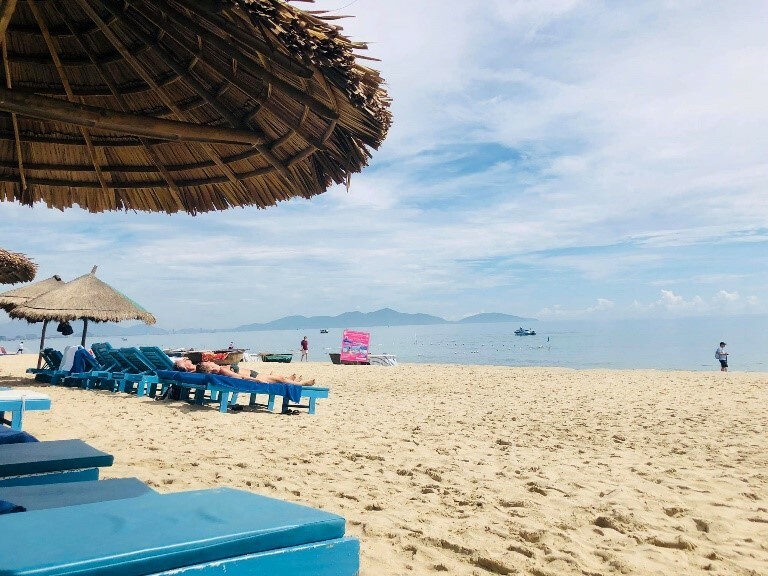 Day 5 was spent at leisure to explore Hoi An on our own. We re-hired bikes from our hotel and biked to the beach which was 5 km from our hotel. We were there by 8:30am to relax for a few hours before it got busy. We biked back into the city and had lunch at the Pineapple where they did wood fired pizzas! The afternoon it rained heavily, so we lounged around by the pool at our hotel. In the evening, we biked to a restaurant that we found on trip adviser, where we had delicious local cuisine. After dinner, we dropped our bikes back to our hotel and explored the night markets. It looked beautiful with all the Lanterns lit up! It was nice to just wander around and absorb the atmosphere. Day 6 we checked out of our accommodation where our tour guide picked us up to drive to Hue. Leaving Hoi An, we visited the Marble Mountain where we saw lots of bats! Also, visited the Cahm Museum in Da Nang. On route, we took the Hai Van pass which is rated by national geographic as one of the must-do journeys in the world. Spectacular views the whole way. Arriving into Hue we checked into our accommodation which was the EMM Hotel, centrally located in the heart of Hue. 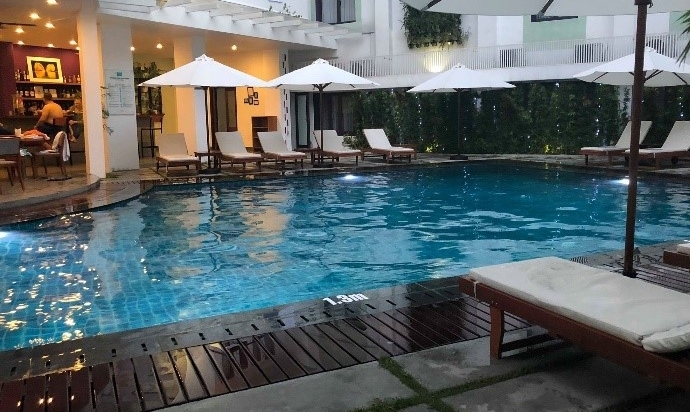 The hotel had a lovely relaxing pool and poolside bar. The restaurant in the hotel had yummy Vietnamese cuisine. Day 7 we explored the historical city of Hue, the former imperial city, with its mix of Asian and western architecture, we also visited the tomb of Emperor Khai Dinh. On our return, we stopped and observed how locals make incense and traditional conical hats. In the afternoon, we visited a pagoda and took a short boat ride down the perfume river. Day 8 we took our final domestic flight within Vietnam to Hanoi. On arrival, we met our local tour guide and transferred to our accommodation, Church Boutique Lan Ong. We spent the afternoon at leisure, exploring Hanoi. We took a short Tuk Tuk ride to the markets. In the evening, we went to an amazing roof top restaurant, which had fantastic 10/10 food! Defiantly recommend this one, The Gourmet Corner Restaurant, located right in the heart of Hanoi, and is very close to the night markets which are on Friday, Saturday and Sunday nights. Day 9 early morning we departed on a 4-hour drive to join our overnight Ha Long Bay boat trip. Even though it was raining, we were still able to explore the well-hidden Co Cave which is known as Thien Canh Son Cave. In the afternoon, we went kayaking around Bai Tu Long Bay. The views are stunning. That evening we attended the chefs cooking demonstration. They cooked pork spring rolls. Dinner was then served in the restaurant, which was 3 courses. Evening activities were optional, with a movie night, board games/massages and squid fishing. Day 10 we welcomed a new day with an amazing dawn on Bai Tu Long bay. 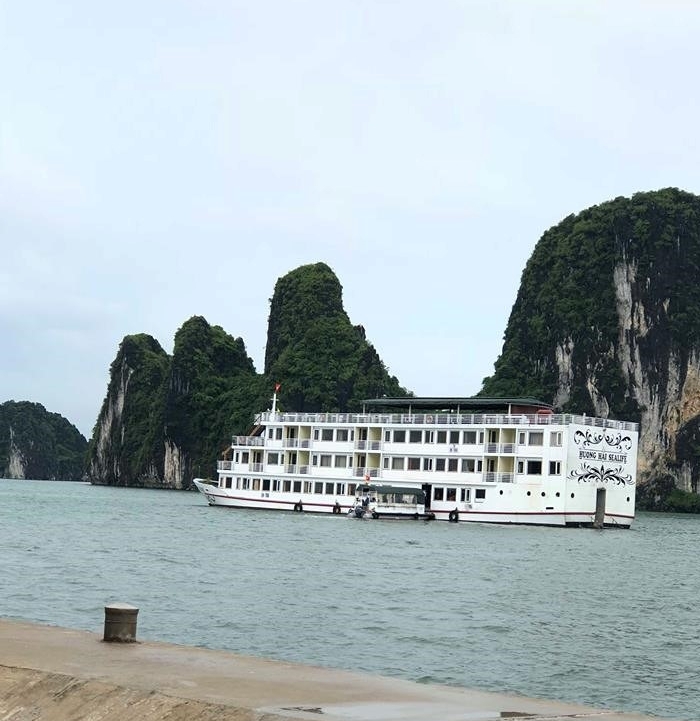 We had a relaxing morning sailing back to port where we disembarked the vessel around 11am and made our way back to Hanoi. The afternoon was spent at leisure. We got a room upgrade to a superior suite! Day 11 was an early started to start our journey home. We departed Hanoi to Hong Kong, arriving into Hong Kong around 1:35pm. We had until 9pm in Hong Kong to fill in, so we hopped on a bus and went to the city gate DFOs. Super easy to get around once you know what you’re doing. Our flight from Hong Kong to Auckland was a night flight, excellent service! All up we had such an amazing experience, and I would recommend everyone to visit Vietnam if you can! Our 3 tour guides, were fantastic, and full of knowledge. Their history on Vietnam was mind-blowing. It definitely lived up to, and beyond our expectations!